All of the partners of Barnett Howard & Williams PLLC graduated Texas Tech University School of Law. Partner Brandon W. Barnett served on active duty in the United States Marine Corps following law school. Our attorneys believe firmly in the value of hard work and seek to reward military veterans pursuing a career in law following their service to our nation. Barnett Howard & Williams PLLC is now accepting applications for the firm’s Military Veteran Law Student Scholarship. The award will be paid directly to the student, and can be used for any expenses related to legal education, including but not limited to tuition, room, board, books, bar review courses, or commuting expenses. Candidates are encouraged to submit, along with their letter, a DD-214, a record of military awards, or other commendatory documents from their military service. *The deadline for submissions is August 1st of every year and the award will be announced on August 15th. Any applicant who applies gives Barnett Howard & Williams PLLC permission to contact them about the application for further follow up information. They also give Barnett Howard & Williams PLLC the opportunity to use their name/and or information on this website as a listed recipient of the award. Applicants have full permission to list this award on any type of marketing information or career oriented paperwork. Best of luck, we look forward to your submission! 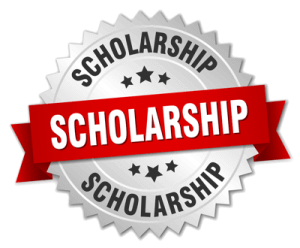 For Military Dependents that are attending undergraduate university, see also our Military Dependent College Scholarship.